Boerne Air Conditioning Experts is your go-to source for trusted AC repair and installation in Bergheim, TX and the surrounding communities. It’s never a pleasant feeling to face the possibility of a dying AC system, but eventually as a homeowner you’ll have no choice but to replace your current air conditioning unit. Over the years, our team has learned that there are several indicators of worsening conditions and pending final failures in your AC system. In our years of experience, we’ve seen that most cooling systems should last fifteen years to twenty years before they need to be replaced. If the equipment has been kept in good condition through regular preventive maintenance, frequent air filter changes, and prompt repairs, it is likely to last even longer. If you think you have an AC system dying of old age, take into consideration the age as well as the equipment's overall condition. You may yet be able to get another few seasons' use out of it. In addition to age and general wear and tear, frequent and constant running can also be a sign of premature failure in your air conditioning system. It may seem odd to think that an AC system dying tends to run more frequently, but constant operation can be a sign that the equipment is not going to last much longer. The problem could be that the system has lost refrigerant and needs to have more added, but it can also mean that the equipment is nearing failure. Frequent operation also puts more stress on the system's components, which can cause them to break or malfunction. At Boerne Air Conditioning Experts, we’ve also seen that a loss of cooling capability can signal a need for a replacement unit. An air conditioning system that is losing cooling capacity and general functional ability can be on the verge of a catastrophic breakdown. As we mentioned earlier, this could be the result of a loss of refrigerant, but it could also mean that there has been a loss of efficiency and performance that a charge of refrigerant won't be able to fix. 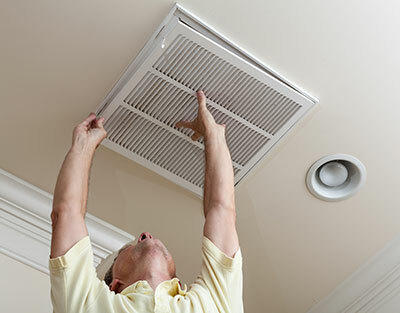 Additionally, unusual or unfamiliar noises could be a sign of neglect of lack of maintenance. Cooling systems usually operate relatively quietly; with the biggest source of noise being the blower fan moving cooled air through the ductwork. However, louder, harsher noises such as banging, clattering, rattling, or other noises that are louder than usual, or that you've never heard before, can mean the system is getting ready to break down. 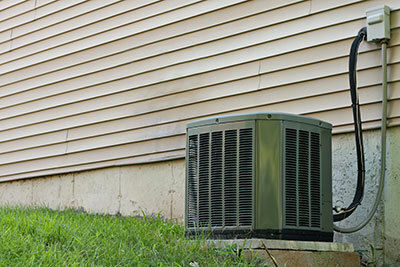 A few final considerations to keep in mind are a spike in your utility bills and a lock of reliability from your unit. If your AC doesn't turn on when you flip the switch or adjust the thermostat, or if it doesn't function as well as it used to, it may be nearing the end of its life. You may notice issues such as inconsistent cooling; increased amounts of dust and other particulates in the air that indicate a lack of air cleaning; or more humidity inside your commercial building, suggesting that the A/C isn't dehumidifying the air like it should. Our team at Boerne Air Conditioning Experts also knows that you probably have a pretty good idea of how much it costs to cool your home each month. If you notice unexpected increases in your monthly expenses that can't be explained by extra use or higher-than-normal temperatures, it could mean that your air conditioner is failing.